The gas monitor AQ 940s is designed to monitor inner spaces. 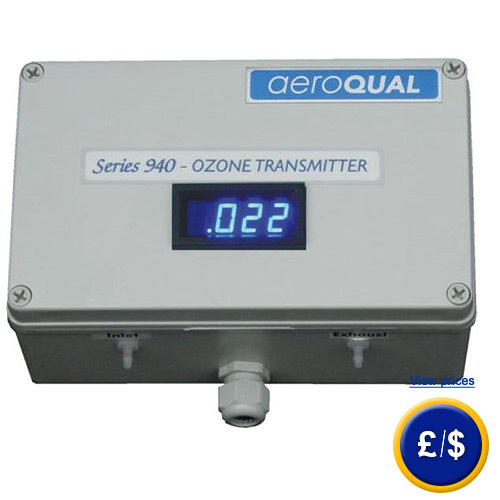 The gas monitor features an internal pump which can be connected to a pipe with a maximum length of 5m, so that samples of the surrounding air can be pumped into the device. This allows even measuring the air in spaces that would be otherwise hard to reach. Furthermore the gas monitor is able to communicate with a large range of hardware. Thus the gas monitor can be connected by means of optional equipment to a computer, from where the gas monitor can then be configured or the measured values can be loaded and evaluated afterwards. The gas monitor is also able to agitate as a relay controller. The gas monitor is able to send off signals via its 4 ... 20 mA output. Thus the gas monitor is ale to agitate within the network via RS485. The gas monitor can be delivered either with a LED monitor or without. There must be always applied a power between 4 ... 20 mA, otherwise the error 125 occurs at the gas monitor. The enclosure is protected very well from liquid entry. Thus the gas monitor is also very well equipped for e.g. monitoring cold rooms etc. There are also 4 external signals available, low alarm, high alarm, control, diagnostics, whereas the transistor output counts a maximum of 150 mA. The alarming limits can be set and configured via the provided software. Another advantage is that the sensors can be replaced so that in the longer run the gas monitor spares further costs. In case that you should have more questions regarding the gas monitor AQ 940 s, please read the following technical data, use our contact form or call us: UK customers +44(0) 23 809 870 30 / US customers +1-410-387-7703 Our technicians and engineers will gladly advise you regarding the gas testers or all other products in the field of Control Systems, Laboratory Equipment, Measuring Instruments or Scales and Balances of PCE Instruments Ltd.